Any texture image that is able to repeat or tile infinitely without visible seams or edges an be considered 'seamless'. 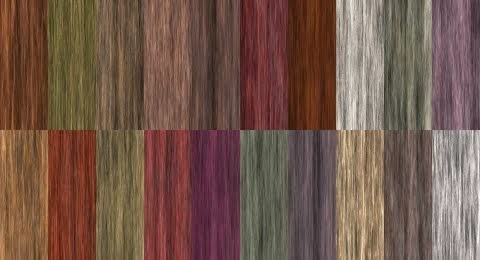 What are Seamless Textures for? Seamless textures are used for quite a number of purpose. They can be used for website and desktop backgrounds, texture or pattern fills graphics or photo editing programs such Adobe Photoshop, Illustrator, Fireworks, Corel Draw, Painter, Gimp, etc. They can also be used for texturing 3D models in 3D modeling in programs like 3DS Max, Maya, Lightwave 3D, Cinema 4D, Modo, Carrara, Bryce, Poser, Daz Studio, etc. A set of free seamless wood textures which are great for texturing 3d model. The textures are of 600x600 jpegs which can be use 3d texturing or 2d design work with any software that support jpeg files. Use them as graphics textures with 2D graphic softwares like Adobe Photoshop & Gimp, use them as website background textures, or use them as tileable textures in 3D softwares like 3D Studio Max, Poser & DAZ Studio. Use this free seamless textures pack for texturing of 3D items in Poser & DAZ Studio.